People may have heard a few myths regarding therapeutic boarding schools. Judgements are passed up until their own children start acting the way they never wanted or expected them to. Many unusual things can start to happen as your child begins to grow and many parents often experience behavior they are not prepared for. 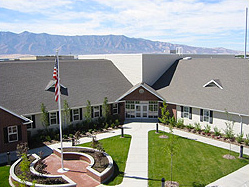 Therapeutic boarding schools like Logan River Academy deal with numerous troubled kids and help them to choose the right direction. Adolescent also have numerous negative thoughts about boarding schools and the procedures they follow. A very common myth is that when your child arrives at the academy they will be completely isolated. At Logan River Academy we allow communicating with the child’s loved ones. The professionals at Logan River Academy try their best to allow interaction with families. Our pure motive is to make sure your child is moving in the right direction to lead a happy life. With the interaction of parents and family these students can make strides to a complete healing and change the way they acting out. Another very common myth surrounding therapeutic boarding schools is that children with serious problems don’t attend Logan River Academy. This misconception is very false. At the academy we treat children with a variety of issues. With our professional and experienced staff we can pinpoint the needs of each of the students and contribute to their growth and success. At Logan River Academy we work with troubled teens who range in age from twelve to eighteen. We work with students in grades eight through twelve. These are all children with a wide variety of different problems that we can help heal by providing them the treatment they deserve. The final myth that are heard is that children do not experience fun or happiness during their stay at Logan River Academy. This is false. Our therapy is motivated by love and the students at the academy develop strong relationships with the staff and other students. We participate in physical activities that challenge each student and provide self-esteem encouraging activities that boost children’s confidence. These type of activities are both fun and rewarding. The environment is conducive to find incredible friends and enjoy their time. If you really wish to help a child to get through his tough times smoothly, Logan River Academy can provide each child no matter their situation with optimum level of guidance. Clearing all the above mentioned myths is important to understand the value if structured environment to offer excellent opportunities to your child’s future and the complete happiness of your family.